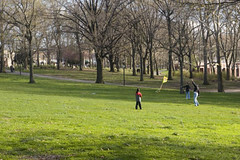 Astoria Park is one of the largest parks in all of New York City. 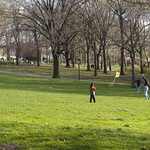 It has multiple basketball courts with fields for soccer and is located right underneath the Triborough Bridge. It has breathtaking views of the Manhattan skyline and is home to most Queens residents on summer days/weekends.